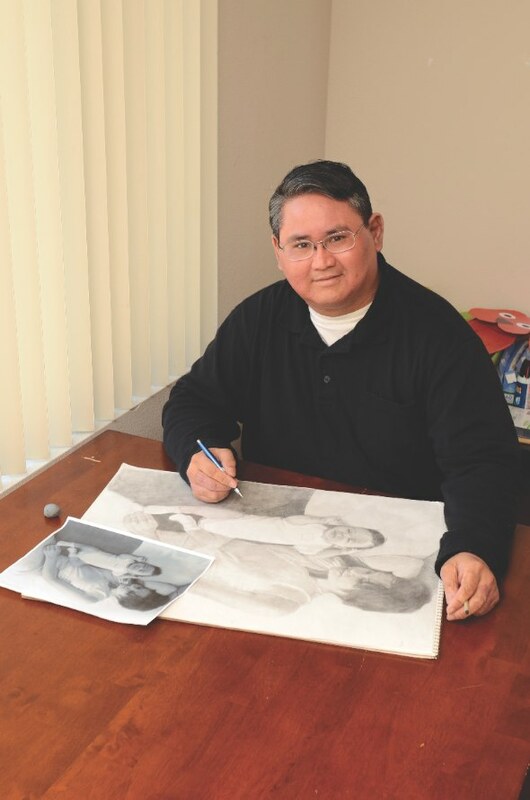 Rocklin resident Eric Nava was inspired to draw at the tender age of three. While visiting family and waiting for a meal, his Uncle Don doodled a palm tree on a napkin. That one moment stuck with Nava and set this freelance digital artist and illustrator on his life’s path. American actor Joseph Gordon-Levitt once said, “The most valiant thing you can do as an artist is inspire someone else to be creative.” And that is what Uncle Don did for his nephew. “I was constantly drawing,” Nava explains, “by high school I knew I wanted to make a living in art.” He started working in an art frame shop, which drove his yearning deeper toward advancing his own artistic talent. “I wanted to create art…not frame it!” Nava admits. With that career path in mind, Nava set his educational goals to match his dreams. After attending Cabot College in the Bay Area, he started at the prestigious Academy of Art University in San Francisco where he received a bachelor of fine arts degree. However, he knew he needed to make a living, so he focused on working in animation—creating background art and texture maps for some very recognizable games that are available for cell phones, iPods, Game Boys, Sony PlayStations and more. This 20-year industry veteran keeps up-to-date on new trends. “It is amazing to see how children view the world,” he explains. A realist, Nava knows he needs to have many different talents to be an artist and has nurtured his to become a multifaceted creator. “It is beneficial to have a variety of skills,” Nava says. “It allows one to be adaptable.” Expanding on his multimedia background, he’s currently transitioning in his dynamic career, opening up his talents and making a career move into web and graphic design—while still keeping the door open to more freelance work on computer games. “My talent has matured,” Nava says. His heart, however, lies in traditional art such as painting and drawing. “It is always important to go back to basics,” he admits. “I want to tell a story with my art and create a more involved composition.” He is also inspired by the work of Norman Rockwell. “I want my work to be family-centric,” Nava emphasizes, “to depict something nostalgic that brings back memories.” He is very interested in showing older and sometimes overlooked values. “I want to show something that people have forgotten.” Nava works to capture a moment in life on paper. “It is important to express yourself and share it with everyone,” he says. For more information, visit ericnava.com.